The preferential metastasis of breast cancer cells to bone comprises a complex set of events including homing and preferential growth, which may require unique factors produced by bone or other cells in the immediate microenvironment. In this study, an in vitro co-culture system composed of bone mesenchymal stem cells and breast cancer cell lines is used to examine the role of Src kinase on breast cancer cell migration and invasion in the presence of bone-derived cells. This research shows that Src kinase activity in breast cancer cell lines with either high or low levels of endogenous Src activity is increased by bone-derived cell-conditioned medium but not HS68 fibroblast-conditioned medium. Breast cancer cells exhibit enhanced migration in co-culture with bone-derived cells but not HS68 fibroblasts or no co-cultured cells. 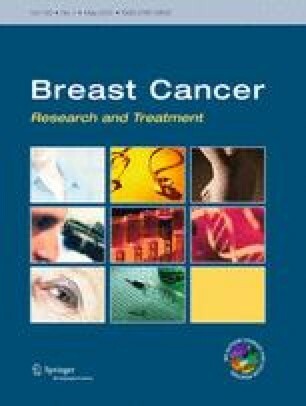 Inhibition of Src kinase activity using the inhibitors PP2 or saracatinib or using siRNA abrogates the preferential migration of the breast cancer cell lines in response to bone-derived cells. Inhibition of Src activity with saracatinib does not have any significant effect on breast cancer cell invasion in the presence of bone-derived cells. Factors are identified that are produced preferentially by bone-derived cells over HS68 cells that may impact breast cancer cell behavior. This research implicates Src kinase as an important effector of bone-derived cell signals on breast cancer cell migration. An erratum to this article can be found at http://dx.doi.org/10.1007/s10549-011-1797-3. The authors would like to thank Lynn Feasel and the staff at the Rockyview General Hospital Clinical Orthopaedics Department for their assistance in obtaining and processing bone samples. They would also like to thank Elizabeth Kornaga for help with the statistical analysis. Alberta Cancer Board, Breast Cancer Operating Grant Project #23141. Canadian Breast Cancer Foundation—Prairies/NWT Chapter, Project “Development of Diagnostic and Therapeutic Agents that recognize a Mutated Form of Src Kinase in Breast Cancer”.